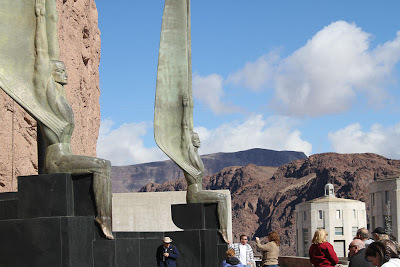 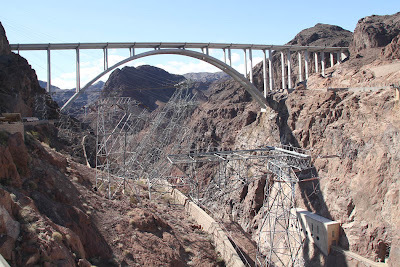 Hoover Dam and Mike O'Callagham-Pat Tillman Memorial Bridge..
on the Black Canyon of the Colorado River, on the border between the US states of Arizona and Nevada. 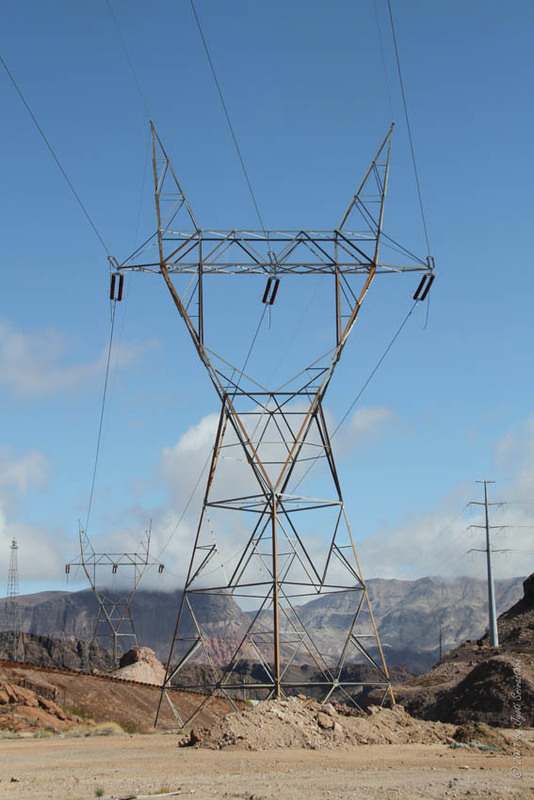 1,500 ft. downstream from the Hoover Dam. 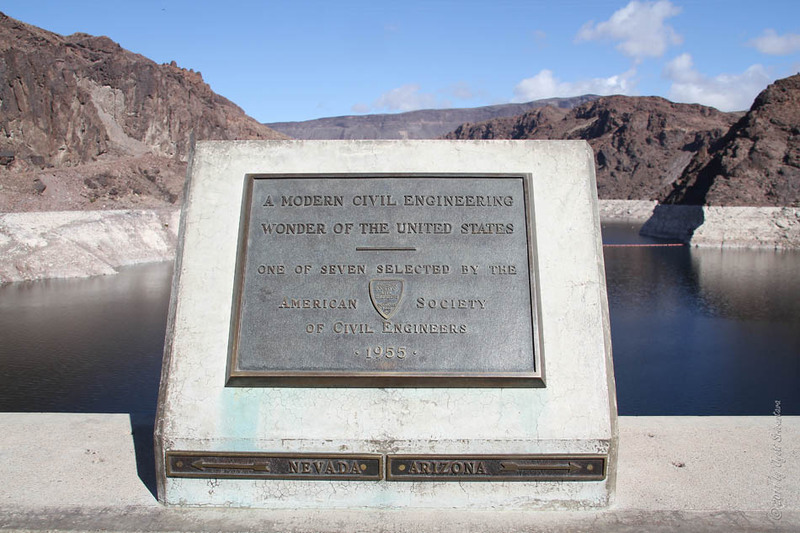 One of the seven selected by American Society of Civil Engineers, 1955. 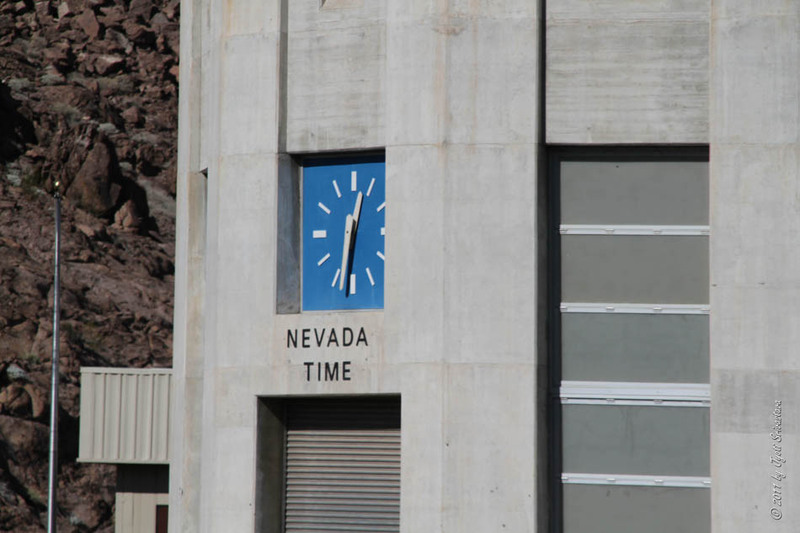 Arizona time: 1.30 pm.. when Nevada time is 12. 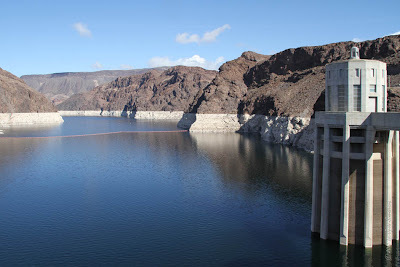 30 pm..
Lake Mead - A view upstream from Hoover Dam.. 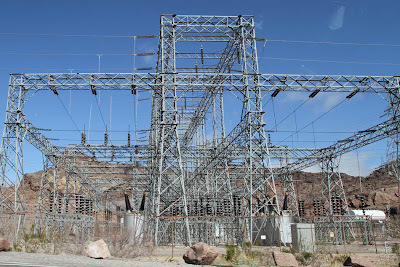 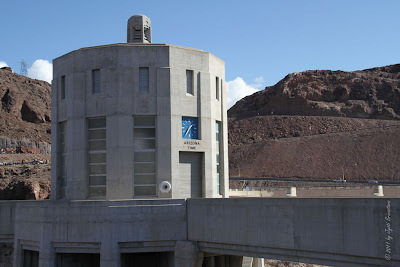 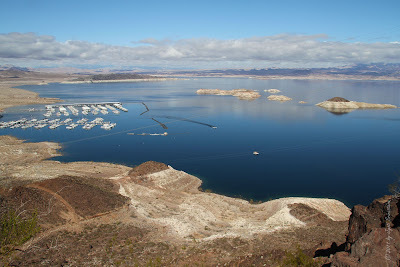 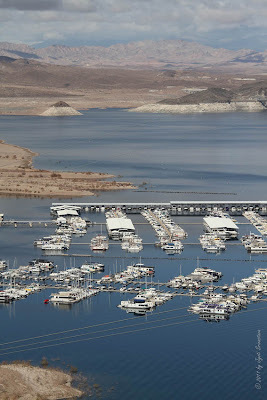 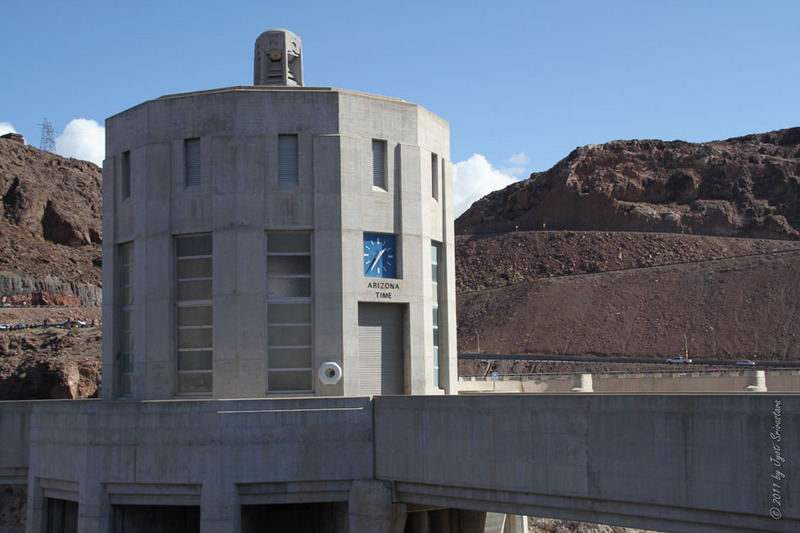 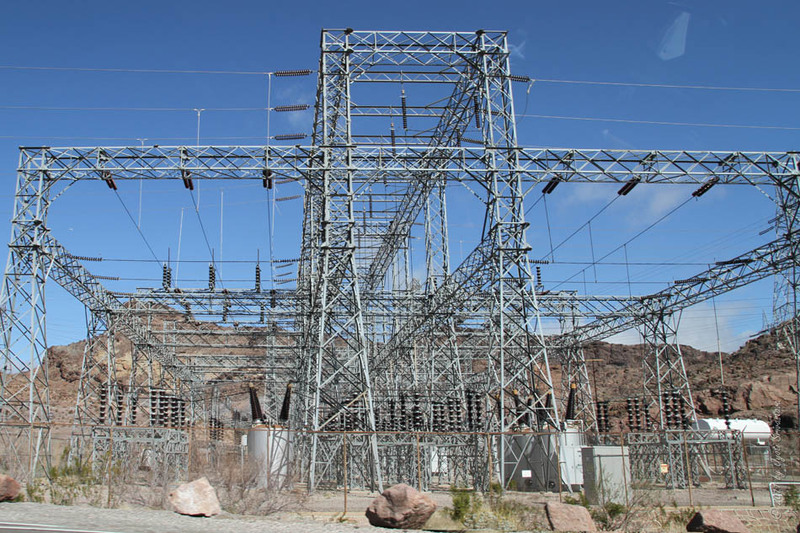 The largest reservoir in the United States, located on Colarado River.. in the states of Nevada and Arizona..
in state of Nevada..For more, click here..